It wasn’t a very merry Christmas for Charlie Sheen and his wife Brooke Mueller. The “Two and a Half Men” star was arrested today, December 25, 2009 in Aspen, Colorado after Brooke accused him of shoving her. Police responded after a 911 call was made at 8:34 AM. When cops arrived, they arrested the 44-year-old star for felony second degree assault, felony menacing and criminal mischief, a misdemeanor. 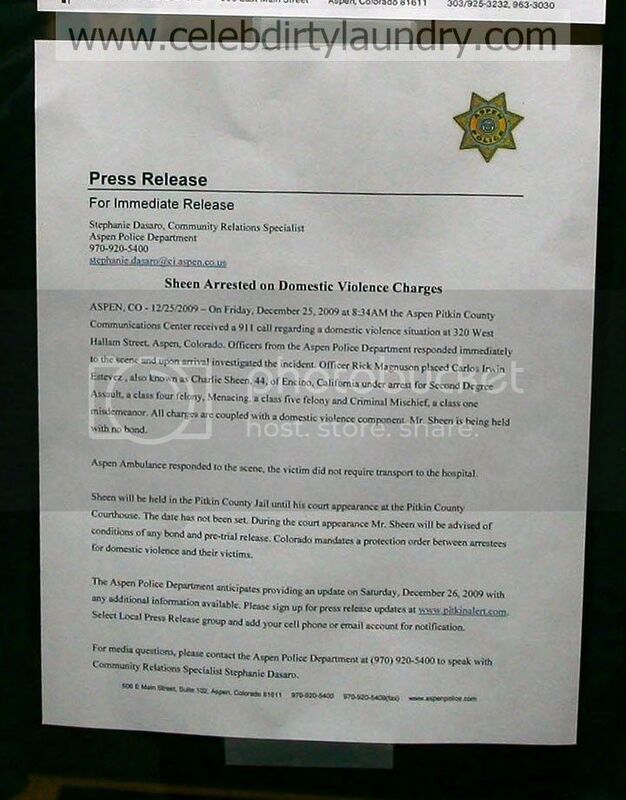 Cops say all three charges are "coupled with a domestic violence component." Charlie Sheen’s publicist, Stan Rosenfield, says, "Do not be mislead by appearance. Appearance and reality can be as different as night and day. It would benefit everyone not to jump to any conclusion." The actor has since been released on bail of $ 8,500, but will have to return to appear before a judge in the upcoming days. Charlie has hired well-known Colorado attorney Richard Cummins to represent him. 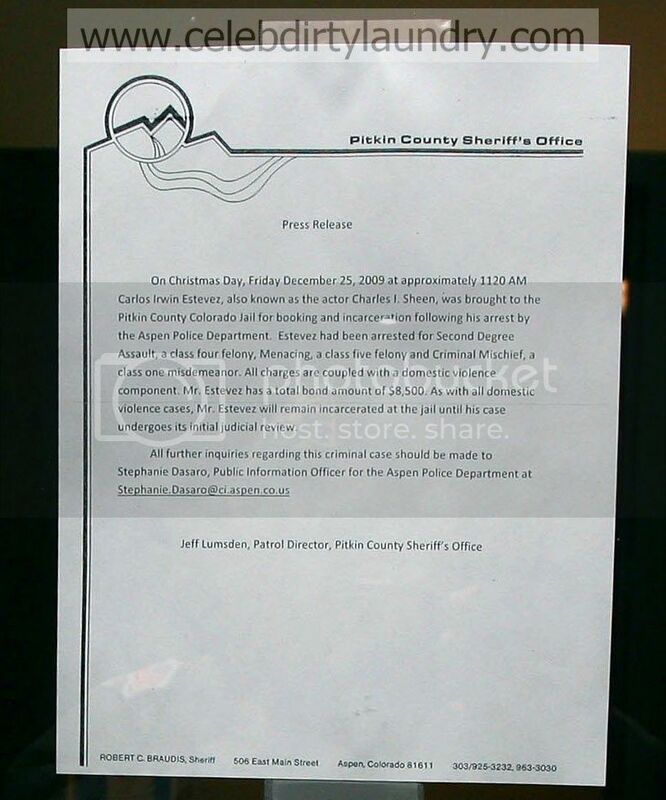 Update: Law enforcement are saying Brooke Mueller Charlie’s wife was legally drunk when she called 911. Sources say authorities gave both Charlie and Brooke blood alcohol tests. Brooke registered a .13 while Charlie registered a .04. Brooke also admitted to a female officier she was drunk when she made the call. However, police will still pursue the case. 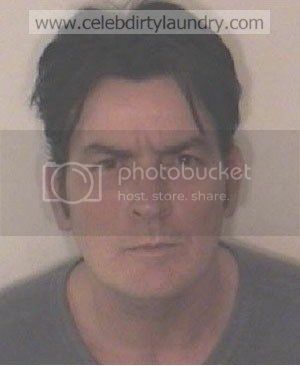 Charlie Sheen Sets The Record Straight!